What started off as easy going for Manchester United ended up on the edge of a scare. A first-half penalty from Paul Pogba was further reinforced by a Marcus Rashford goal. However, Brighton put in the effort in the second half, but couldn’t do better than a 72nd-minute goal from Pascal Gross. The Red Devils are now in a firm spot to make a challenge into the top four, and the result of the Chelsea–Arsenal encounter will be a crucial deciding factor. With this victory, his seventh consecutive one, Ole Gunnar Solskjaer has crept into the history books yet again, becoming the first Manchester United manager to win his first 6 Premier League games in charge. This feat has only been shared by Guardiola and Ancelotti before. This will be massive for the Norwegian, who has made his ambitions for the full-time gig pretty obvious by now. However, a top-four finish along with silverware will be required to cement that possibility, and it is clear that the higher that unbeaten number rises, the happier United will be with their legendary striker. The internet is bound to be given ample content yet again, as Paul Pogba sure took his sweet time in scoring the opening penalty. 12 steps were involved in his slow-jog to the spot-kick, but all United fans will be caring about is that he has found the back of the net. This further cements the factor that Solskjaer builds his team around Pogba, with the no.10 role being in action for the longest time today. Further, this goal means that he has had a crucial role to play in nearly all of Solskjaer’s Premier League victories. The Frenchman is slowly shaping up to be the lethal presence that United wanted in their roster for the long-term, when they broke the record to bring him back to Old Trafford. 4 successive Premier League goals for Marcus Rashford, and Old Trafford is irrevocably in love with their home-grown striker. Today’s game saw him take maximum control and display tactical brilliance. His silly tackle towards the end of the game which led to a yellow-card was the only deviance from discipline that the Englishman put on show on Saturday. With 41 total goals for United, Rashford has now put in better numbers than Cristiano Ronaldo at the same age. Now, fans will be hoping that the slight knock he picked up towards the end won’t have a massive impact going forward. It is amusing to think that this is the same player that Jose Mourinho thought unfit to start as a regular striker. For the first time in many seasons, United have seen a healthy distribution in their goal-scorers’ tally. 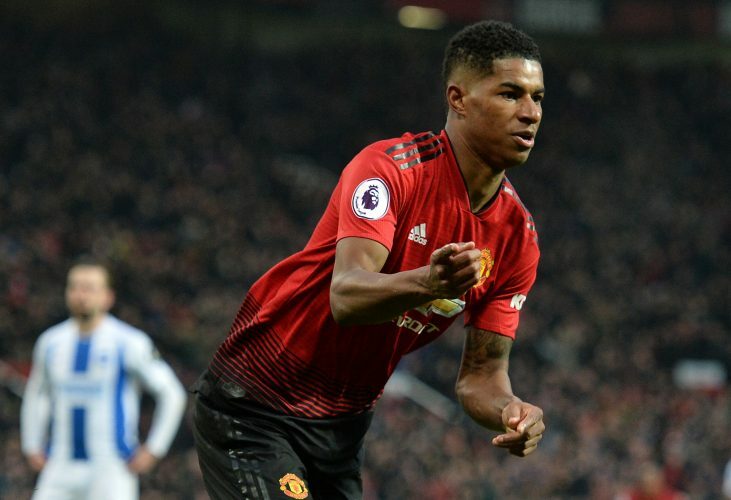 The top spot in their roster is presently tied amongst Marcus Rashford, Paul Pogba, Anthony Martial, and Romelu Lukaku – all of them having found the back of the net eight times so far this season. This is interesting, as it compensates for them not having a single player who has netted a huge number of goals, and this distribution will come in handy in the event of a freak injury. If the same tally can be taken forward to next season, United could be a goalscoring force to reckon with. Having netted 46 goals, they are quite fittingly tied with Chelsea and Arsenal for the third spot in the total number of goals netted in the league this season. In what has been a recurring theme, Manchester United were robbed unexpectedly off a clean sheet yet again. This further highlights just how badly they require another capable centre-back at the heart of their defense. 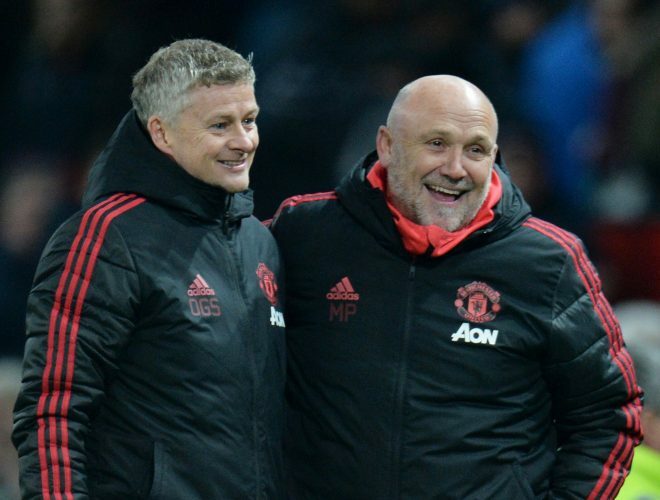 While Ed Woodward may feel that they can creep through the January window without purchasing any new talents, if no defensive reinforcements arrive by the end of this month, the top four spot may not be assured. This will be particularly annoying considering that Chelsea seem eager to go all in on that top-three finish, as evident in their alleged transfer intentions. United need to do the same, and do it quick. It is quite telling of their defensive form that they have kept the same number of clean sheets in their last three games as they had in the first twenty Premier League matches.